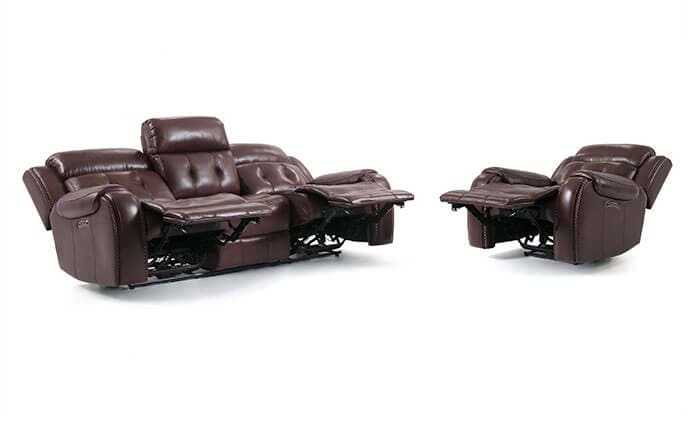 Get maximum style with my dual power reclining sofa paired with power recliner. 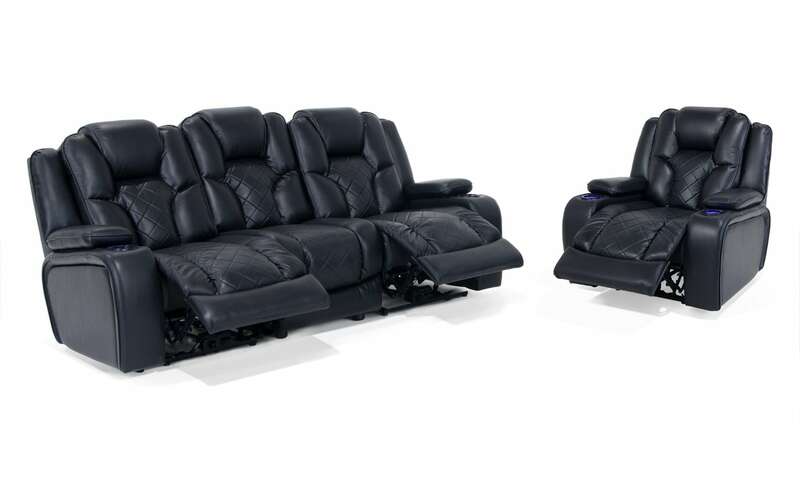 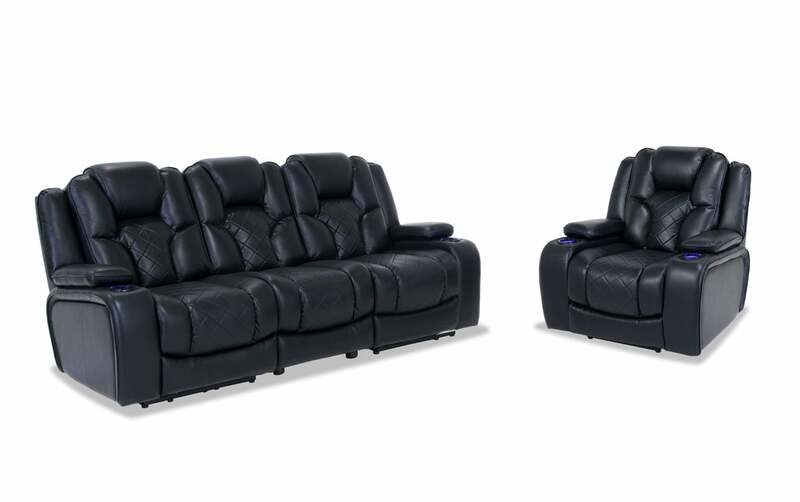 My Gladiator Dual Power Reclining Sofa & Power Recliner are loaded with features! 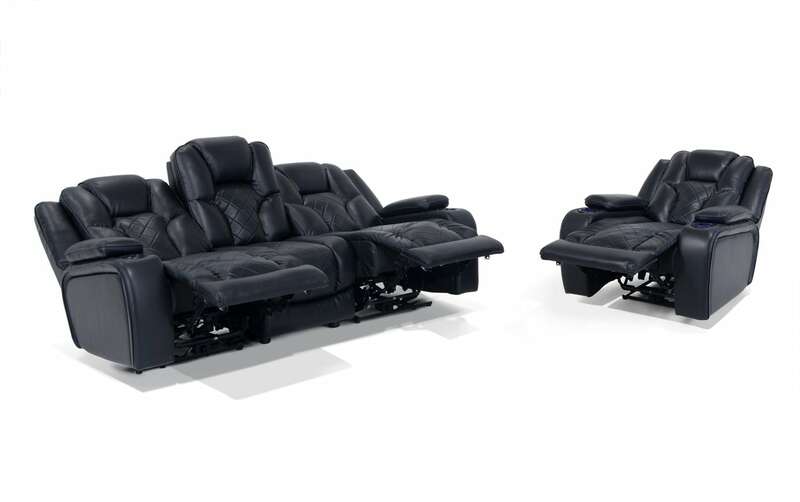 Bob-O-Pedic Memory Foam Seating adds tons of comfort and the ease of power recline lets you lounge with the family! 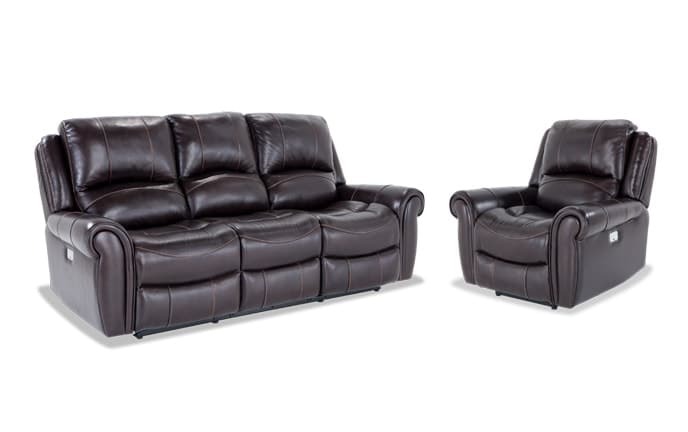 The soft, leather-look performance fabric is durable, breathable and easy to clean. 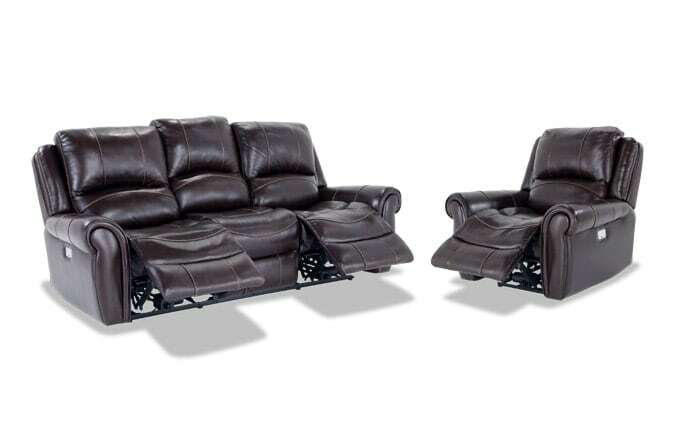 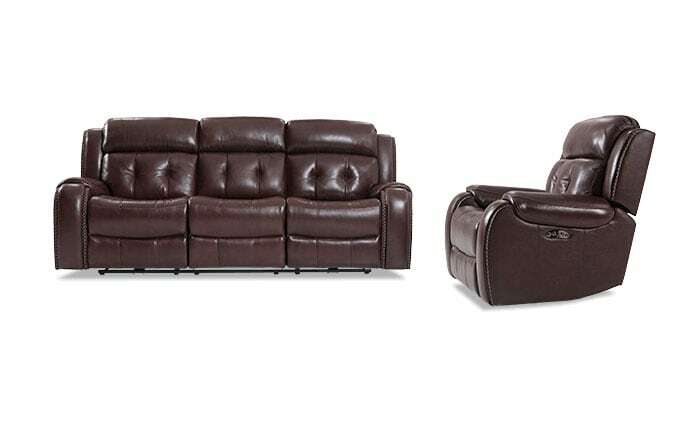 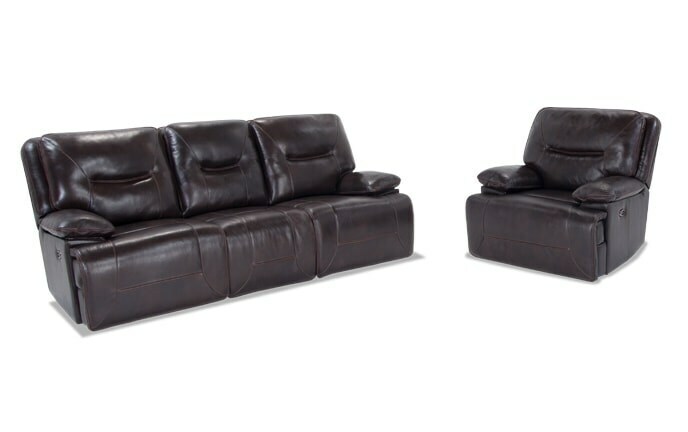 The three piece sofa and recliner both have power headrests, cup holders and a quilted pattern for high-end style. 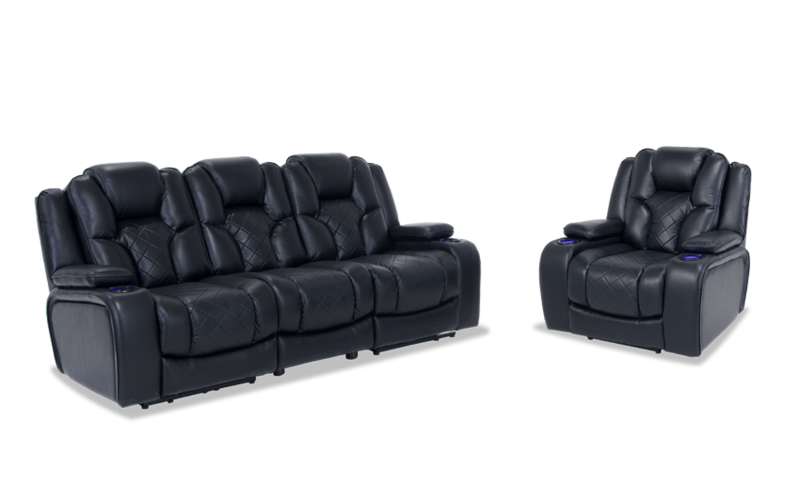 The sofa is complete with a reading light, USB port, and tray table! 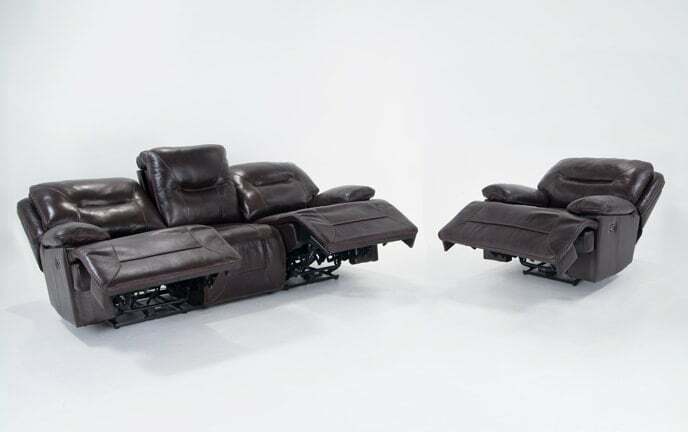 Finally, wall hugger reclining saves space against walls so you can maximize your space.